« Alias Miss Saunders, R.N. 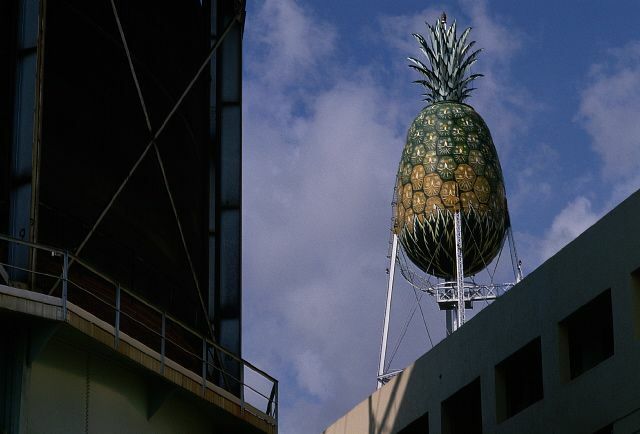 The Dole “pineapple” water tower was one of the distinguishing landmarks on the Honolulu cityscape for more than 60 years. Standing more than a hundred feet tall, including the office building it was attached to, it was one of the tallest structures on Oahu prior to World War II. Designed and erected in 1927, it held 100,000 gallons of water and weighed 30 tons. It was better known than the “peach” water towers of Clanton, Ala., and Gaffney, S.C.; than the giant Brooks Foods ketchup-bottle water tower of Cillinsville, Ill.; even better known than the Libby Foods ear-of-corn water tower in Rochester, Minn.